State Department official hopes Lebanon's next government will work with Washington. 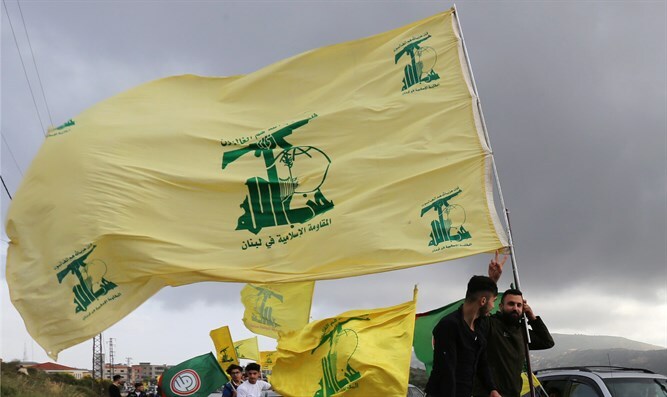 A State Department official on Tuesday expressed concern over the Hezbollah terrorist group's rising clout in Lebanon. Speaking to Reuters, the official said the United States hopes Lebanon's next government will work with it on areas of mutual interest. "We hope Lebanon's next government will build a stable and secure Lebanon that is committed to peace, responsive to the needs of the Lebanese people, and working with the United States on areas of mutual interest," the official told the news agency. Lebanon is expected to form a new national unity government in the next few days, politicians said on Tuesday, seven months after the parliamentary election in the country. Hezbollah and its allies gained more than half the seats of the 128-member Lebanese parliament in the May election. Incumbent Prime Minister Saad Hariri was tasked with forming the next coalition despite his party’s significant losses in the vote. Hezbollah is expected to get three ministries in the upcoming cabinet for the first time, instead of two, including the health ministry, according to Reuters.